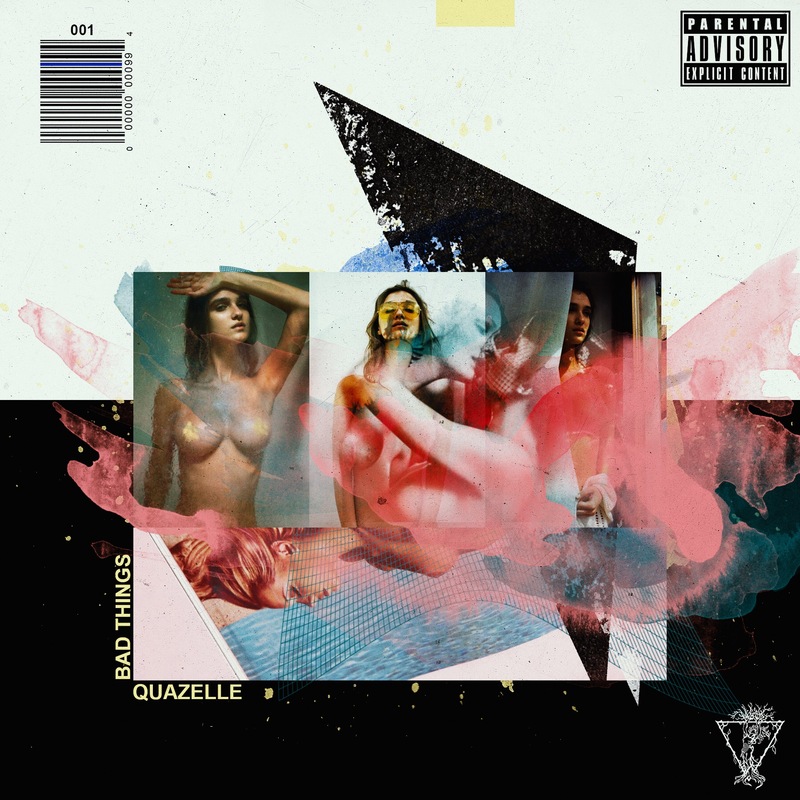 ‘Bad Things’ was produced by Fayo&Chil and was produced beautifully.Quazelle’s heavy and deep vocals come through with the upbeat instrumental and completely takes you by surprise. The writing is good and is very clear to understand , with a hip/hop, pop vibe this is definitely a great track to listen too this summer. With a message to share, maybe from experience maybe not put it is a strong message that addiction can lead to self-destruct so be careful! This entry was posted in introducing, LOS ANGELES, music, Review, SINGLE, Uncategorized and tagged hip hop, LA, pop, Quazelle, Review, SINGLE. Bookmark the permalink. Ray Silva (vocals, guitar), Noah Alexander (drums), Morgan Terrinoni (guitar), Gerry Matthews (bass). You guys released ‘Letting In The Dead’ can you tell us the meaning behind it? Letting In The Dead is about a person holding a seance for the ghost of a dead relationship. The goal is to make peace with this ghost so that it will rest and allow the person to move on peacefully. Can you tell us more about the new EP? We definitely write what we are feeling in the moment, so right now it suits us better to release smaller groups of songs more often. That’s why we chose the 4 song EP, followed recently by a single, with another single and music video due out late June, early July. We kind of have an ongoing theme with all of our music, a sci-fi love story. Whether the songs are hitting more on love or sci-fi, we leave that up to the listener to make of it what they will. All of us have been playing for a long time now, and we all started pretty young. At least high school. We’ve been playing together for about 6 years. Most recently and fully realized as Dream Vacation. We are pretty much perpetually on tour. We do not have a segment of time where we will be out of California right now but that will be coming up soon enough, probably closer to Fall. What is it like working with ‘John Rausch’? John is great! Working with John is an educational experiment each time. He’s worked with metal bands to pop super stars, so when we bring in our latest songs we can expect a fun and original approach that is fitting to each song. He listens to us and he works with whatever we bring to the table. He strives for us all to be on the same page and to connect. He isn’t afraid to express his ideas, which is really great to have someone outside of the group that can do that. Our drummer Noah was friends with him first too, so that also helped bring a sense of comfort in not working with a complete stranger. Has John given you any advice whilst working with him? John often pushes us to bring things forward that we would otherwise bury. We tend to like to hide things under layers of reverb and sound but he’s helped us realize that we are hiding things that people really want to hear. What made you go in to the music industry? Only lawyers decide to go into the music industry, ha ha. With musicians, you start to tinker with something in your room. Then you find a friend at school who wants to hang out and do the same. A few years later, you are playing a stage in another country for a living and you’re in the music industry. It’s all an accident. Like most of the guys in the band. Ray plays acoustic guitar, pocket piano, and sings. Gerry plays bass, some keys, and some backing vocals. Noah plays drums, percussion, and runs a laptop. And, Morgan plays guitar. Our influences are a bit all over the place, but mostly stem from what we grew up on. Here’s a few from each of us, in no particular order. At the moment, we are setting 6 month goals. The 5 year goal in the music world is like throwing a dart at a map while riding a kangaroo, blindfolded. We are really enjoying getting to know our local Los Angeles scene better and are setting up shows in the southwest United States. So the current plan is to continue establishing ourselves locally and then continue building outward. It would certainly be amazing to collaborate with Gorillaz, or at least their non-virtual members. They’re exploration of sound and textures is pretty top-notch. It would be pretty great to get weird with Modest Mouse. They’re guitar layering and melody is amazing. Add the reverbs and delays and lets go down the rabbit hole. CAMP BESTIVAL! Getting to play for the kids in that setting would be amazing. That along with Reading and Leeds. We don’t watch that much TV but we do like movies. It would be amazing to have music in any Wes Anderson film. We enjoy mostly outdoor activities. Surfing, hiking, going to the beach, reading, hanging with family and friends. Keep your head down, your spirits up, and keep going. Do the work. Do you have any social media accounts so readers can see more? This entry was posted in Band, Ep, interview, introducing, LOS ANGELES, music, NEWS, Uncategorized and tagged Band, CAMP BESTIVAL, DREAMVACATION, Ep, FOUR PIECE, GERRY MATTHEWS, INDIE, JOHN RAUSCH, LETTING THE DEAD, LOS ANGELES, MORGAN TERRINONI, NOAH ALEXANDER, producer, RAY SILVA, Rock. Bookmark the permalink. What are your names? Delphina Kings is brothers Chris and Pete on guitar/vocals and drums respectively, and Andy on bass. Chris and Andy are both 23; Pete is 21. You guys are releasing ‘Holding Me Up’ can you tell us the meaning behind it? Chris: For me it’s about that first bit in a new relationship where it’s all new and confusing but exciting at the same time. We try not to force our own meaning on people though, I think people can take their own interpretations from it as well. 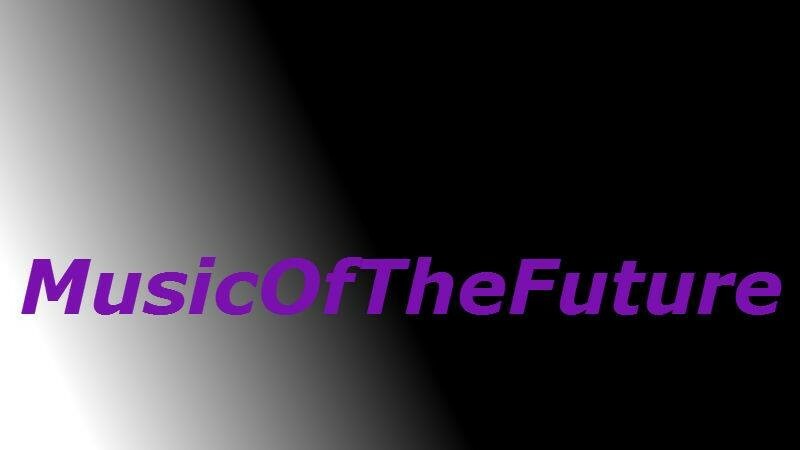 Do you have an album coming soon if so can you tell us more about it? Chris: We’ve been writing a lot recently, but we think for now E.Ps and singles are the way forward. They tend to have more of an impact because of how quickly they can be put together and released, and also because our collective attention span isn’t enough for albums any more. It’s all about keeping the audience engaged and entertained, and we think little by little is the best way for us to do that at the moment. We are currently signed to Playing With Sound. Will you be heading out on your? Pete: A tour will hopefully be on the cards in the near future, but we’ve only been a band for a couple of months so for now our main priority is getting a bit of a buzz going around the single. Chris: At the moment we’re playing individual shows around Manchester and the north west. But we’re excited to start broadening our horizons really soon. What made you go into the music industry? Andy: I don’t think anyone plans to go into the music industry. You kind of stumble into it through a love of music, and that’s what we’ve done. We’ve been playing in bands since we were teenagers, just for our own enjoyment, and this is an extension of that. Chris: Music has always been a big part of all of our lives. I started playing classical guitar in year 4 and Andy started around the same time. Pete: I was about 10 when I started at drums. Chris: We’ve all been in bands for pretty since we started high school I formed my first one when I was 12. Andy: I play bass, a bit of guitar and keyboards. Chris: I see myself as a guitar player, but I can also play a bit of bass. Pete: I play drums mainly, but I can also play bass and a bit of guitar. Chris: Individually we all have really varied influences. Andy: As a band we look up to a lot of contemporary bands like Foals and The 1975. Andy: We’ve also always listened to Manchester-based stuff: The Smiths, Joy Division, New Order and stuff like that. Chris: I always get people telling me that we sound like Bloc Party. They were big when we first started playing in bands, but I don’t see the similarity. Andy: Just sticking at it. Hopefully we will have had some success but we’d just like to be able to carry on playing music. Chris: We don’t want to jinx it! We’re just concentrating on the present. But we have a lot of faith in the music we’re writing at the moment. Pete: I’d like to have played at Manchester Apollo by then. Chris: Nah, I doubt he’d want to work with us. It’s hard to pick one, there are so many good new UK artists out at the moment. Andy: Maybe someone like Ellie Roswell from Wolf Alice. Someone with a cool vocal. Andy: It depends whether you mean in terms of songwriting or performance. Chris: Yeah, for songwriting someone like Sia would be amazing. She’s written for everyone. But writing and performing with Taylor Swift… Or Carly Rae Jepsen! Both their last albums are so good. Pete: Reading and Leeds, particularly Leeds because it’s a festival we’ve all been to as fans. Andy: A stadium like Old Trafford would be a dream come true, but even Manchester’s Apollo would be incredible. Chris: My favourite venue in Manchester at the moment is the Albert Hall there – it’s really cool inside, like a church. That would be mine. Andy: For me it was Smells Like Teen Spirit by Nirvana, without a doubt. Even though I was a bit late to the party – I wasn’t even born when it was released. But it was the first song I learnt on guitar. Chris: Mine and Pete’s would probably be By the Way by the Red Hot Chili Peppers. That was the first record I bought with my own pocket money. Pete: Yeah, that was one of the first songs that really got us excited about music. Andy: Geordie Shore. If I heard one of our songs on there, I’d know we’d made it. Andy: I watch a fair amount of football, both on TV and live. Pete: I love my PS4. Chris: I go to gigs when I can. I have embarrassingly few interests outside of music! Andy: Don’t give up when you get your first knock back. It can feel like you’ve wasted your chances, but if you keep trying you’ll always get another chance. Chris: I met Ian Brown once. When he found out I was in a band he said ‘kid, whatever you do, don’t turn left’. Then he just turned around and walked away. I’m still not sure what he meant, but I’ve never turned left since just in case. The handle for both Twitter and Instagram is @delphinakings. This entry was posted in Band, interview, introducing, music, NEWS, SINGLE, Uncategorized and tagged alt, Band, delphina kings, New Music, pop, quite great pr, SINGLE, social media. Bookmark the permalink. This is a track that gets you out of your seat in a beat. The well established vocal come through spectacularly. It’s a well written track and swarms with professionalism. The Turner Brothers are hear to ‘BUILD US A DREAM’ but also them with there originality and creativeness that you can hear. This entry was posted in Band, music, NEWS, Review, SINGLE, Uncategorized and tagged build us a dream, england, Review, SINGLE, the turner brothers. Bookmark the permalink. DANNY SMART THE SINGER/SONGWRITER WITH A VARIETY OF GENRE’S WHICH INCLUDE COUNTRY,ROCK AND BLUES! GET TO KNOW MORE ABOUT HIM NOW. My name is Danny, I’ve been playing guitar since I was around 4/5. I started playing guitar and singer after listening to Johnny Cash’s ‘I Walk The Line’ at a school assembly. I then decided to start writing after getting into artists such as Jake Bugg, Ed Sheeran, Nina Nesbitt. Released my first and second EPs which made me really develop as an artist and opened my eyes to great music which brought me to where I am now. I play with my band as The Danny Smart Band and we just enjoy playing good music!!! No, not my kind of thing at the minute! The tracks on the EP are songs that I have wrote whilst being with my band. Similar to my previous projects, they are tracks about my life at the time. I think writing songs like this is the best way to be honest and express myself through my music. As well as my own experiences, the tracks are inspired by things I see out and about. People are inspiring! Tell us more about some .of the tracks on the EP. The first track,‘Be With You’ is a track about wanting to stay with someone through the good times and the bad and just sharing things that you love about someone. Sometimes it works out, sometimes it doesn’t! And the next track Go Go Go, is a track about Jealousy really. About thinking too much into things and wanting the feeling to go away cos you realise how much of an idiot you’re being! I’m not on an official tour really. Me and the band have plans to take the tracks to different places through busking around the country. Although we are playing some shows more North such a Scarborough, I find a local following is the thing we’re after at the minute! Some places we’d like to take to is Leeds, Manchester, York, Liverpool. We will see how it goes! As a youngster, my parents signed me up for guitar lesson at school (I hated it!) and then as I mentioned in my bio I learnt how to play Johnny Cash’s song Walk The Line after we all sang it at a school show. I was amazed by the words and the chord changes. So I then heard more Johnny Cash in car journeys with my parents and then decided to learn the full ‘The Legendary Johnny Cash’ 2cd album! It all went on from that. Johnny Cash, Muddy Waters, Ed Sheeran, Led Zeppelin, Bob Dylan, Jimi Hendrix… the list goes on! It could be from anything. I see something when I’m out and about, I talk to a person and they say a lile that Inspires me or a person or event inspires me to put pen to paper! I think progress is essential, hopefully more gigs, better songs, more fans and a wider spectrum of locations. I like to find things out, I think learning something new every day is important! But I like catching up with friends and being down my local! When Ed Sheeran started to get his popularity in the mainstream and releasing his music, I saw his live video on SBTV of ‘You Need Me, I Don’t Need You’ and he really inspired me as a solo artist to up my game and I discovered that if Ed can do it, why can’t I? So I decided to start writing and practicing more! Also I have to admit a friends’ dad gave the best advice to me too he said ‘stick with it, and make a f****** fortune out of it!’ that made me chuckle and inspired! My guitar, the set list, the words (hopefully), my nerve and the main thing I never forget is to make sure everyone is having a good time! This entry was posted in Interview, introducing, music, Uncategorized and tagged BE WITH YOU, BLUES, BOB DYLAN, COUNTRY, Danny Smart, Ed Sheeran, Ep, EP RELEASE, facebook, LED ZEPPELIN, Rock, Social MeidiA, soundcloud, UNSIGNED, youtube. Bookmark the permalink. At just 16 year old Skyler has made her name be heard from the get go from her first original release which feature Snoop Dogg to her latest release ‘I just Wanna Dance’ which will get you in the party mood every time you listen. Having a strong pop beat straight away instantly draws you in and does make you ‘WANNA DANCE’. The professionalism throughout is unstoppable and is so well produced,written and performed! Skyler’s vocals also get you attention , the originality and silvery vocals , at just 16 I can not wait to see how she sounds in 10 years time because you will definitely be hearing a lot more of her! Follow Skyler on Social Media to keep up to date what she’s up too! This entry was posted in music, NEWS, Review, SINGLE, Uncategorized and tagged 16, i just wanna dance', pop, singer, skyler, songwriter. Bookmark the permalink. REVIEW:GAVIN CHAPPELL-BATES HAS BEEN VERY BUSY WITH HIS MUCH DARKER SINGLE ‘CHURCH OF ROCK N ROLL’ RELEASE DATE; 22ND JULY 2016! Gavin Chappell-Bates a Singer and songwriter from Cambridgeshire. The brand new track starts has a great heavy pop-rock feel to it with guitars and drums bursting through straightaway setting the scene of the song so to say. It is a much darker track to Gavin’s other tracks which shows his originality ,creativity and that his talents vary in a fantastic way. It is very upbeat and even though it is heavy you still want to dance and feel the lyrics, this has to be on your playlist!! Follow Gavin on Social Media if you like the sound of his music! This entry was posted in NEWS, Review, SINGLE, Uncategorized and tagged CAMBRIDGE, church of rock n roll, Gavin Chappell Bates, review NEW, singer, songerwriter. Bookmark the permalink. THE SOUND OF CLUB AND HIP HOP IN ONE FROM JKEYS,WE CHAT ABOUT HIS LATEST TRACK ‘WRECKLESS’ AND HIS LP WHICH IS COMING SOON! I am actor and song writer from essex. Your brand new single out ‘Wreckless’ , whats the meaning behind? the meaning behind my new single, is to remind people of what life is all about.. HAVING FUN! Can you tell us more about the LP you are working on?. MY ALBUM / LP Has a mix of rap tracks and club bangers! theres something on there for everyone. EMINEM , SUPER MAN IS ONE OF THE BEST RAP SONGS EVER! THATS A BIG INFLUENCE TO EVERY RAPPER! MY ADVICE TO OTHERS WOULD BE .. NEVER GIVE UP! AND A GREAT CROWD TO PERFORM TO. This entry was posted in interview, introducing, music, NEWS, Uncategorized and tagged eminem, hip hop, JKeys, Music, music money group, quite great pr, rap, solo artists. Bookmark the permalink. THE HUMMINGBIRDS ARE DEFINITELY READY TO RELEASE NEW MATERIAL AND GET IT OUT THERE AND PLAY THEM FOR YOU ESPECIALLY AT CORNBURY FESTIVAL! What are your Full names ans the bands name? It Varies for all of us, but it’s been about 10 years on average for all of us playing now, it feels like a few months, something that comes naturally to us. How did the ‘Cornbury Festival’ Come about? Our booking agent messaged us asking about it, we checked the festival out online and it was a yes straight away. We’re excited to come and play for the crowds there! We had a previous chat about your EP ‘ Out Of The Rain’, how was the response to it? We had a great response, to the EP and the Album released just after it. We were so glad people enjoyed the music because it’s been a long struggle for us to get this stuff released the way we wanted it and we’re glad it’s out now. We have a few new songs we’ve been working on yes! Hopefully we can play them for you. We have a great set planned and hopefully the weather is nice and the crowd are loving it! When will we see a new EP or Album? There’s been talks of a Live EP later this year, with a few tracks taken from our Album launch show at the Buyers Club, Not too sure if it’s going to happen but i’ve heard the tracks and they sound good! Are you doing any more gigs/festivals? We’re planning a big tour in September/October hopefully going from top to bottom of the country! Sooner than that though we have the Liverpool Loves festival. It’s on our pier head right in front of the river mersey and the Liverbuildings, it’s an amazing festival and we’re looking forward to playing to a home crowd. What has 2016 brought you already? 3 singles and an album release! Loads of gigs and some new suits. What are your Social Media accounts so everyone can keep up to date with you at the festival? This entry was posted in Band, Interview, live gig, music, NEWS, Uncategorized and tagged albums, cornbury festival, facebook, impressive pr, instagram, live, Music, SINGLES, THE HUMMINGBIRDS, twitter. Bookmark the permalink. IRELAND TRIO ‘WHEN YOUNG’ ARE HERE CHATTING TO ME ABOUT WHAT IS NEXT FOR THE BAND! It is a representation of our music and our message. Band names are tough, it certainly took a while. Give us a little bio about the band and as individuals. We’re besties, we met in our hometown in Ireland every weekend at the only club that plays the music that is relevant to us. We started writing, playing and recording these songs about 6 months ago in our studio. But music has been something important to each of us for a long time. Coincidence, fate maybe. It wasn’t an intention, it just happened with the right people, in the right place, at the right time. You can’t force a band together and expect it to work. We were lucky that way. We’ve all grown up being obsessed with music. We love rock n roll and dancing. Tell us more about the new single ‘See How They Run’. See How They Run is our debut single and it will be released on the 22nd April 2016. It’s short and snappy and gives you a good idea of what we sound like. We wanted our first release to be a punch in the face, nobody releases songs under 3mins anymore and why not? We love catchy melodies with lots of energy which this song has in abundance. There will also be a B side released with it called “Show Me How”. The background behind the new single. We wrote it last year and recorded it between Devon and London with James Bragg and Adam Lunn. We know what the song is about in our own heads but you are free to gather your own interpretation. We have recorded a big batch of songs over the last 6 months so there is plenty more to hear and our best is yet to come. What can you tell us about a new EP or Album? Will there be one? There will be, we certainly have the tracks for one but nothing is planned yet, we’re only babies. Yeah Yeah Yeahs. Blondie. Mystery Jets. The Modern Lovers. Currently listening to Christine and the Queens a lot and finding her music really inspiring. We saw Sunflower Bean live recently, they were captivating. Our debut show will be at The Globe, Brighton for The Alternative Escape on the 19th of May. Following that we play a headline show at The Shacklewell Arms on the 31st of May. It can come from anywhere. You can’t get inspiration, it just comes intermittently with the wind. Often seeing or hearing another artist can create the competitive spark that draws inspiration. Or sometimes it’s that simple moment of lucidity where you say, yes this is me, this is my life and I’m going to create something. We wouldn’t want to see ourselves in 5 years, it would spoil the surprise! Who knows, it’s a long time! We support our dreams by sowing plants, selling books and serving food! Does anyone ever not say Glastonbury? On top of Mount Rushmore. Probably something by The Strokes, hearing them for the first time as a kid. We’ll tell you that one in 5 years! Do it or you won’t have done it. Sticks, plecs, your brain, gin and a token Aussie. This entry was posted in Band, interview, introducing, music, NEWS, Uncategorized and tagged ALTERNATIVE, Band, facebook, GET TO KNOW MORE, ireland, social media, trio, twitter, when young. Bookmark the permalink.